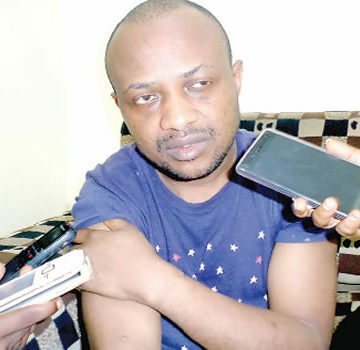 The security around the premises of the Ikeja High Court where alleged billionaire kidnapper, Chukwudumeme Onwuamadike, popularly known as Evans was arraigned was tight at the early hours of Wednesday. Apart from the Court’s security personnel stationed at the gates of the court, heavily armed police and army officers were also on ground. Justice Hakeem Oshodi’s court where Evans was arraigned was also combed by heavily armed security men. The Attorney-General’s office had earlier said Evans would be docked on various counts, including kidnapping, before Justice Oshodi at 10:00 a.m. The state Attorney-General, Mr. Adeniji Kassim led the team of prosecution..